Sinchi & Friends 66 features Argentinean Martin Noise. 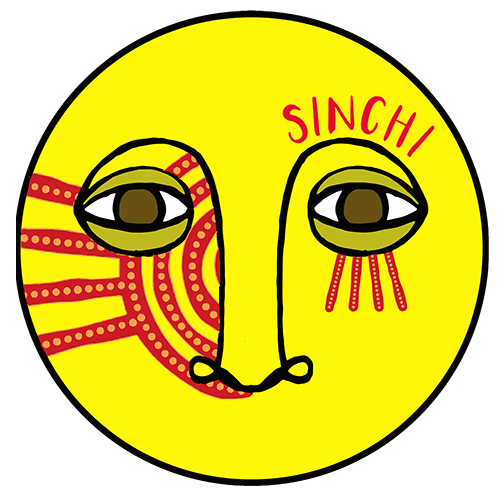 In his own words….’I was inspired by Sinchi’s philosophy and by work aboriginal cultures. Since a child, I read books and have shown interest in these cultures. Perhaps because I am South American or maybe because several of their methods and techniques are still used today. So, in this mix, I have tried to transport listeners on a trip into a jungle, with different textures and landscapes. I also had the possibility to feature 4 upcoming tracks on Playground and my latest remix on Night Noise’. I hope it is as good as this 2018. I think that I will focus more on the production; I’m preparing a track for a compilation on the French label Mange Moi and an ep that will see the light on Playground Records, in addition I will remix to Roe Deers and Theus Mago. On the Playground side I can say that we will start the year with our first showcase in Razzmatazz and we will have Simple Symmetry and Golden Bug join us, night that I will play too. In addition we are preparing a lot of releases with amazing artist. I really can’t wait. 9) What is your favorite and or Venue / Festival to play at and why? As a bonus track I can tell you that our Playground night at Kater Blau was incredible, Berlin always is Berlin. Talking in general and In my own experience in the underground scene and maybe in the first layers of the overground too, there is not any kind of discrimination; but yes there is inequality, i think it is because we have a long history of women, black people and gays opression that took away many possibilities from many people. 12) What’s your opinion on the importance of roots, traditions, respecting originals and sources? Should all music be open source and open to editing or do you think cultural and artistic misappropriation is an issue? One piece of music you can’t stand? Despacito ?